In 1863, Natchez, Mississippi, peacefully surrendered to the Union Army - but not everyone surrendered peacefully, especially not Shaelyn Cavanaugh. 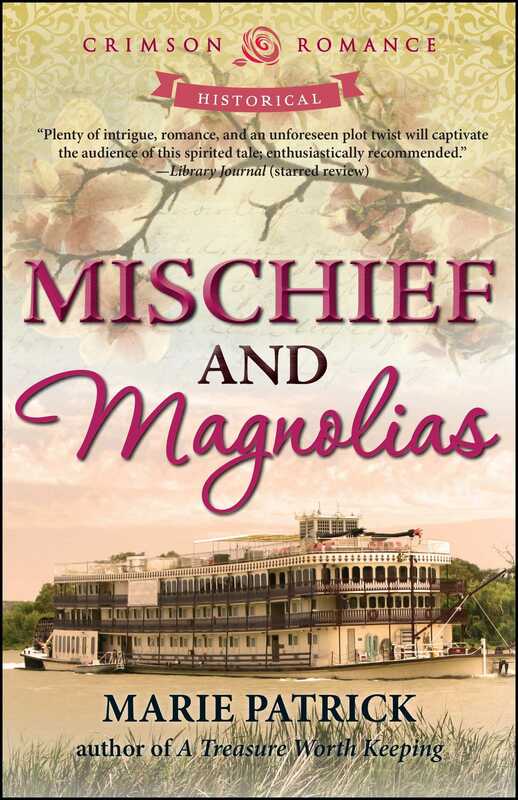 With both her brother and her intended off to war, her home, Magnolia House, and her beloved steamboats are taken over by Major Harte and his small contingent of men. Shae will use every mischievous weapon at her disposal to show Major Harte he has chosen unwisely. She begins by putting vinegar in his coffee. But instead of being upset with his doctored drink and later molasses in his boots, Major Remy Harte is intrigued. Actually, he finds Shae’s attempts to make him leave her home amusing and he doesn’t feel slighted in the least. What the major does feel is a growing attraction, one that Shae shares as well, despite the fact she is a spoken for woman of the South and he is most definitely an available man from the North. Making circumstances worse, Shae is accused of espionage and they are ultimately betrayed - by one of Remy’s own men.